ATX breakout board fitted. Shortened and resoldered all the lines. 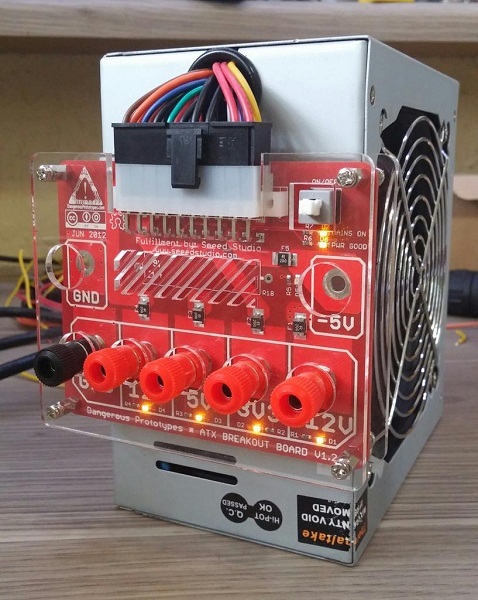 Beautiful Desktop Power Supply! You can get one for $14 at Seeed Studio. This entry was posted on Tuesday, June 2nd, 2015 at 4:11 pm	and is filed under ATX BB. You can follow any responses to this entry through the RSS 2.0 feed. You can skip to the end and leave a response. Pinging is currently not allowed.